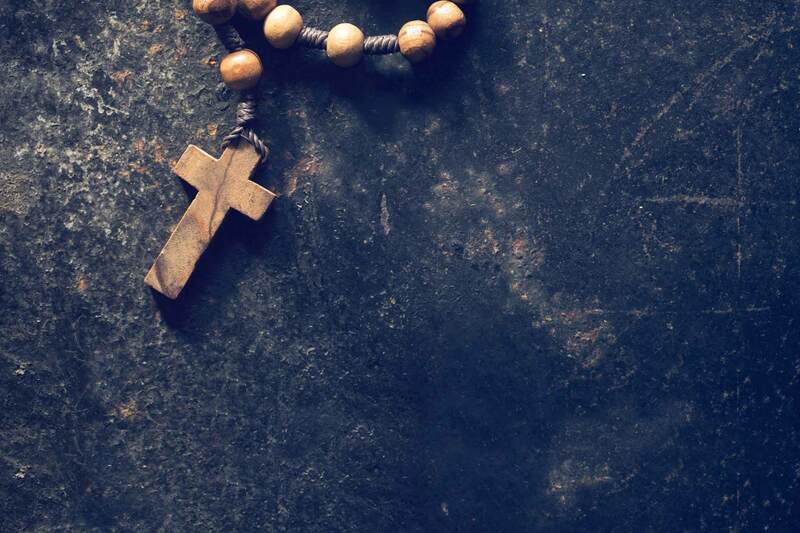 Young people in 10th grade or older are invited to formally commit to a deeper understanding and involvement in their Catholic Faith. Candidates must have participated in a faith formation program or a Catholic high school in previous years. 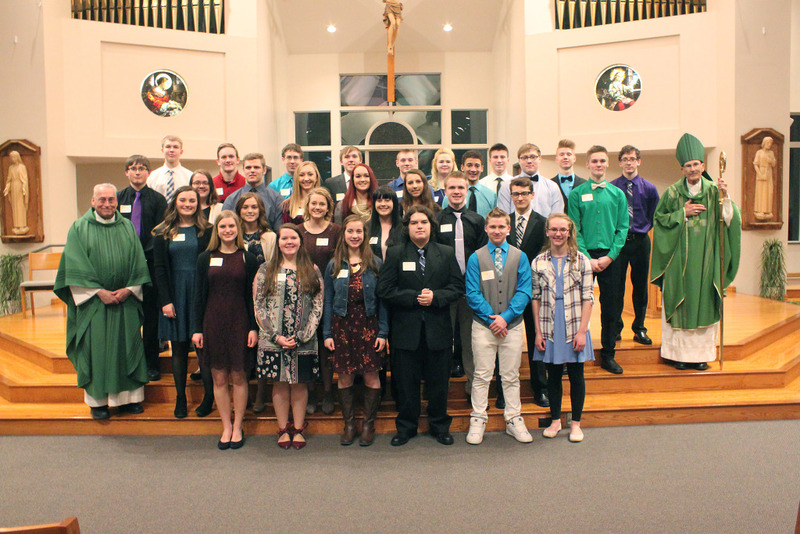 Beginning in the Fall of their 10th grade year, students will begin a two year preparation program culminating with the celebration of the Sacrament of Confirmation in February of their 11th grade year. All will actively participate in Small Group Formation classes. 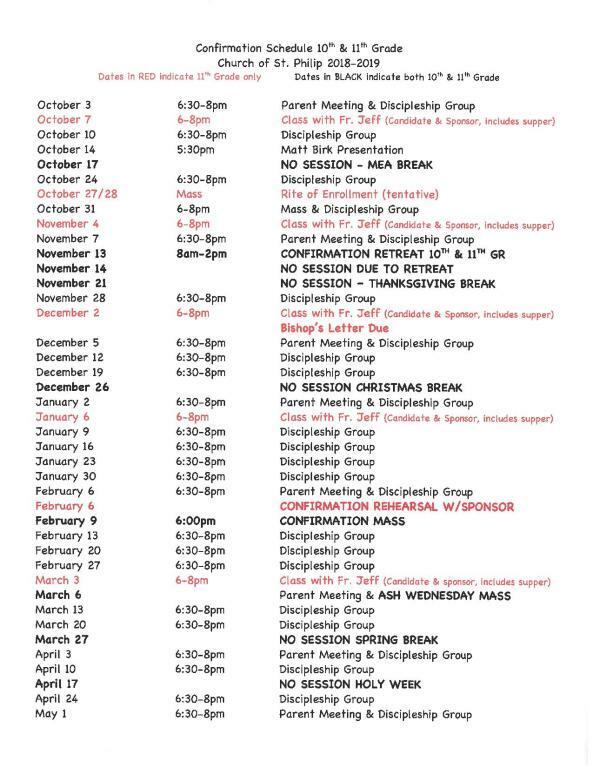 Confirmation preparation offers Candidates large group events, ritual and prayer experiences, and a retreat. This journey is shared with a sponsor chosen by the candidate. Our Confirmation Mass will be celebrated on Saturday, February 9, 2019 at 6:00 pm at the Church of St. Philip. Be currently enrolled and actively participating in a Formation Small Group. Provide a copy of their baptismal certificate.